Other Pieces of Me: She's Here!! Congratulations to your beautiful daughter!!!!!! She is beautiful! Love the full head of hair and the meaning behind her names is beautiful. Beautiful! Great name, too. Congrats!!! 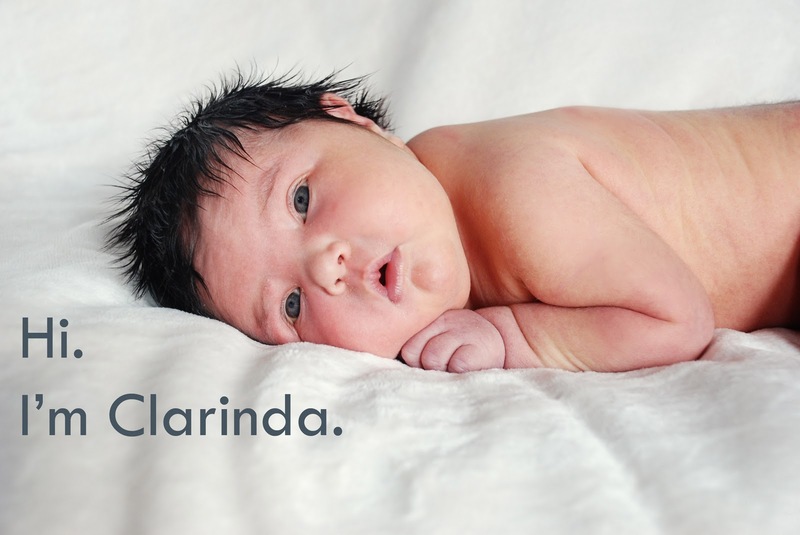 Welcome, Clarinda! I love the stories behind the names. Congratulations. Hurrah! GORGEOUS name! Love it! 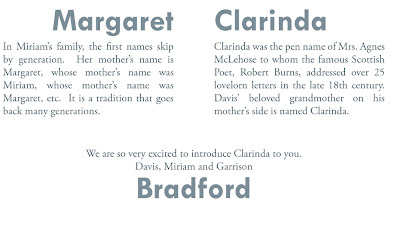 Beautiful name and I love the birth announcement! So happy for you and your family. 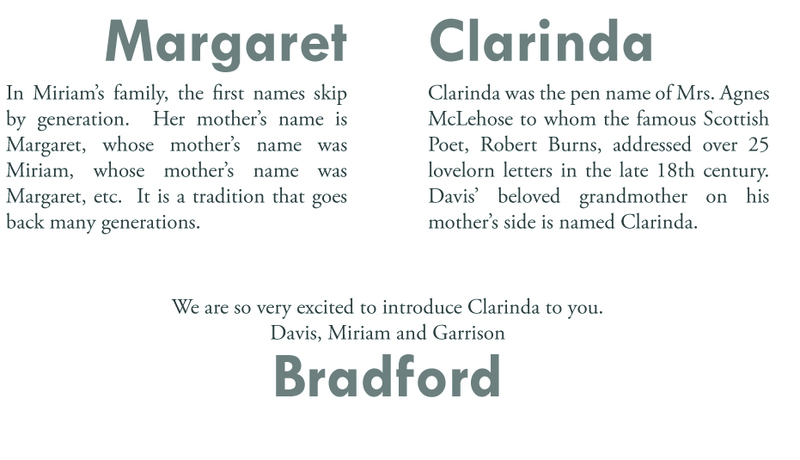 And that birth announcement is wonderful... I have nooooo idea how you do it all....and yet you do! Congratulations! Love the announcement and the name. Can't wait to hear more about her!